At Dr. Reitter’s dental office, we always strive to treat you like one of us! Everyone wants that confident and pretty smile. Let us help you! Our patience with you will make you feel at home. Our ambient, bright rooms will keep you feeling fresh and delightfully pleased. 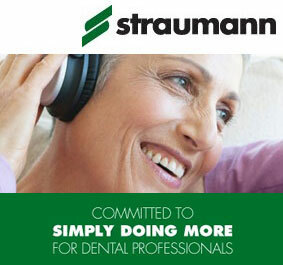 We will also provide you with all the dental treatments and care that suits your specific oral health concern. We are well informed and ready to tackle all your needs! A family business! Over 20 years of expertise! Our office is pleased to offer a wide variety of dental services to address all of your oral health needs; including but not limited to those listed below. Please contact us if you have questions about a specific procedure, or one that is not listed. Digital Radiography, Minimal Radiation technology. 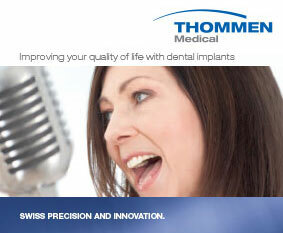 THOMMEN MEDICAL Swiss dental implants. Dental implants combine both restorative and cosmetic dentistry. Dental implants replace one or more missing teeth or secure a dental bridge or denture with stability similar to a natural tooth root. New white materials eliminate any gray shadow under the restored crown. And when the dental crown is created by a skilled cosmetic dentist such as Dr. Jean F. Reitter’s, it can look as well as function just like a natural, healthy tooth. Replacing missing teeth with dental implants preserves the bone mass and strength. Dental implants are now virtually painless. 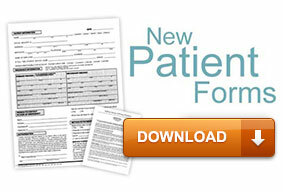 Click here for more patient information brochure. A dental implant replaces the missing root and holds an artificial tooth in place. A dental implant mimics nature: like a natural root, it is firmly anchored in the jaw and holds the tooth in place. The implant is a small part made of titanium or titanium zirconium alloy – materials generally well-tolerated by the human body. Also, titanium has been shown to bond well with the human bone. Want brighter, whiter teeth that will make you look great and years younger? In just 20 minutes you can get dazzling white teeth. Lighten and brighten your teeth dramatically with safe and effective teeth whitening in our office or in the comfort of your own home.